This print spooler keeps stopping issue is quite confusing for me, usually, I just need to restart spooler service on affected computer and problem gone, but not this time. Users reported that they cannot print to all printer from their PC. This happened suddenly on some computers in our office, they cannot print to all printer and they cannot find any printer under Devices and Printers folder. We found that even if we restart the spooler service then it stops again. We also tried to restart the computer, it works at first then stops again automatically, and this happens to many computers. 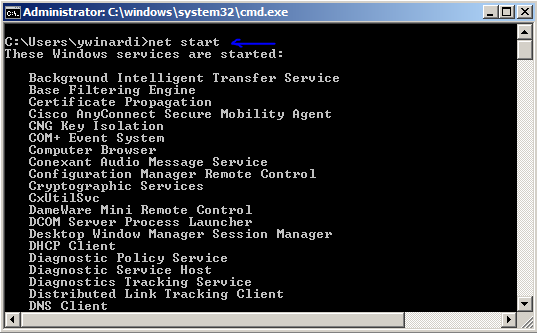 On the command prompt type net start and press enter, you will see all the services that running on your computer, you should find print spooler in the list if not then print spooler is not active. 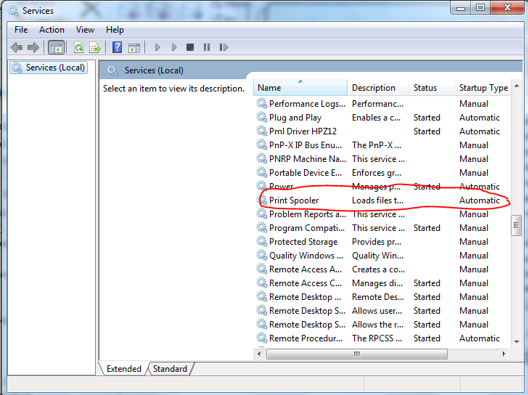 You can type net start spooler to re-start the service or net stop spooler to stop the service. Another way to open services is by typing “services.msc” on the search box, then click services.msc it will open the new GUI window to start and stop the service. If you are not familiar with command prompt or cannot access search form because it block by your company policy then you still can click Start-Control Panel-Administrative tools-Services. If you see that the print spooler service is not started like below picture you have to restart that service by right click print spooler and click start. It will start again but wait until about 5 minutes to see if the service stops again. 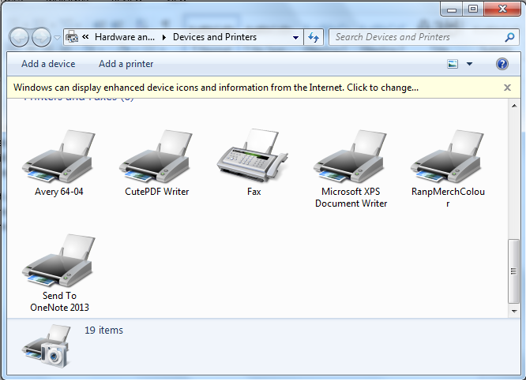 If confirmed stopped again then you are having printer driver’s incompatibility problem. The best way to fix print spooler keeps stopping is by removing all the existing printer driver, or if you remember the last printer driver that causing this problem remove that one. Our case: Our network is using a print server on the same machine with domain controller. At first, we suspect that this is due to recent windows updates, but then we realized that not all computers having the same problem but still impacting many computers. If this because of recent updates it may affect all computer or most of our client computer will experience this. After many tests with any possibility, we found that the printer driver is the culprit. We have to remove the printer from the print server. After printer driver that causing the problem being removed all client print service is back to normal. Remove recently add printer driver. 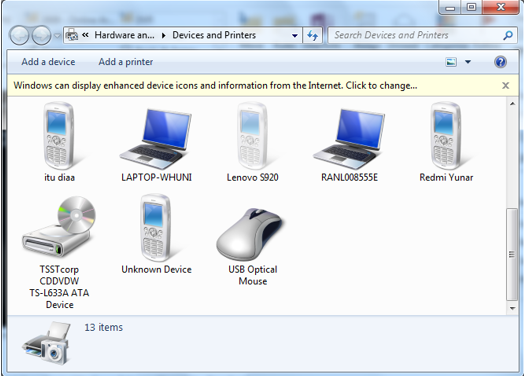 To remove the printer is by right click suspected printer and click remove device. Repeat removing printer driver until you find the culprit. I hope this article will remind me when print spooler keeps stopping automatically happen next time and hopefully will useful for you too.